How does Amazon sales rank work? 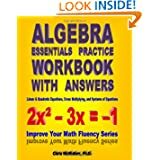 Specifically, what factors affect the sales rank of books (or other products) at Amazon.com? These questions will be answered in this article—as the result of years of research on this topic. I’ve purchased hundreds of books, e-books, and other products over the course of several years on Amazon, both directly from Amazon and through third-party sellers on Amazon. It’s easy to monitor the sales rank before and after each purchase. I’ve studied years of sales rank data for dozens of books that I’ve published. I’ve compared this data to royalty reporting and Nielsen Bookscan data from Author Central. Since 2008, there have been cases where I was able to make firsthand observations of purchases on Amazon, in which case I could study the sales rank before and after knowing with 100% certainty when and how the purchase had been made. I’ve read several articles by other researchers who have conducted experiments on Amazon sales rank. Below is a list of various factors and how they impact sales rank. Each case is accompanied by at least one explanation for how this is known. Toward the bottom of the list is a discussion of other factors that may or may not affect sales rank. For these factors, it’s not as easy to determine the effect. Before we get to the list, there is an explanation of a few basic concepts associated with sales rank. Every product on Amazon that has ever been purchased includes a sales rank on its product page. What is sales rank? The sales rank is a number with 1 to 8 digits. The better a product sales at Amazon, the lower the sales rank number. The bestselling product in a category has a sales rank of 1. The worse a product sells at Amazon, the higher the sales rank number. If a product hasn’t sold for several days, its sales rank will likely be in the millions. If a product has never sold on Amazon, it won’t have a sales rank. Different editions of a product (like hardcover, paperback, and Kindle books) each have different sales ranks. Every product page has its own sales rank. Sales ranks are different in various categories. For example, books, Kindle e-books, software, and office products each have different sales ranks. Books have overall ranks and also specific ranks within subcategories. Ranking #1 in books overall is much, much better than ranking #1 in a specific subcategory. Authors, publishers, marketplace sellers, and many other people and businesses use sales rank data to help judge how well their products are selling. They also study sales ranks to help predict how well a product may sell and to help decide whether or not to sell a particular product on Amazon. Many customers use sales ranks to help judge how popular a product is. Sales rank also affects the visibility of products at Amazon in various ways. For example, landing on a top 100 bestseller list gives a product much added exposure. 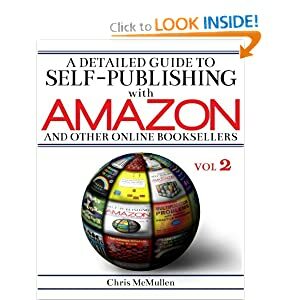 Thus, many authors, publishers, and businesses seek to understand how Amazon sales rank works in order to improve their chances of maximizing a product’s exposure on Amazon. Amazon sales rank changes throughout the day. A book with a sales rank of 100,000 might seem like a fairly good seller, but all you really know is that the book sold in the past day or two. It might not have sold all year until you happened to look at the product page. A book with a sales rank of 1,000,000 might seem like it’s not selling, but it actually could have sold within the past week and the rank has since climbed. It could have sold several copies each month all year and might just be going through a dry spell. If you really want to know how well a product is selling, don’t simply look at the sales rank right now. Instead, you should add the product to your cart and monitor its sales rank over the course of a week or month. That will give you a much better indication of how well or poorly that product is selling. If you could purchase one copy of every book on Amazon in one mammoth transaction, no sales ranks would change as a result of your purchase. Amazon’s overall sales fluctuate. Some days are great for sales overall, in which case a product can sell a few copies and actually drop in sales rank (i.e. the number rises). There are seasonal effects, e.g. during the holidays products must sell better than usual just to maintain their old sales ranks. Sales rank can actually improve significantly without any sales at all simply because sales rank is a relative indicator and incorporates not just recent sales, but a history of sales consistency or inconsistency, too. A book with a history of selling multiple copies per day, for example, tends to remain more stable when it doesn’t sell, whereas when a book’s sales rank drops from the millions to 100,000 it begins to climb quite rapidly. Sales rank can actually drop (i.e. increase in number) even though a sale was made, simply because many other books have also sold at the same time. Following are specific factors and how they impact Amazon.com sales rank. How much time has elapsed since the most recent sale? How many sales have been made recently? For books ranked from around 100,000 (this number is presently much larger for Kindle e-books) and upward, sales rank largely indicates how long it has been since the last sale was made—but not necessarily and not quite. If a book usually sells 1 copy every X days where X > 1, then a sales rank of 100,000 (that’s for print; it’s much higher for Kindle) indicates a book that has sold recently (probably within the past day), whereas a sales rank of about 1,000,000 indicates that it’s been a few days or a week since the last sale. For books that usually sell X copies per day, where X > 1, then sales rank doesn’t merely indicate how long it’s been since the last sale—it also reflects the average number of books sold per day. However, sales stability is important, too. If a book has consistently sold multiple copies per day for a year and suddenly sells none at all, the sales rank climbs very slowly (and occasionally improves without any sales). In this case, a rank of 100,000 could mean that the book was once a consistent seller, but just hasn’t sold as well recently. A book that ordinarily doesn’t sell much, but which sold very recently, will have a sales rank near 100,000 (for print)—once sales rank data is updated (which can be delayed for hours). For a book to rank in the 10,000’s or less, it must not only have sold recently, but must have sold frequently (i.e. multiple copies per day). The more copies a product sells per day, on average, the better its sales rank (i.e. the lower the number). Note that a book with a history of selling several copies per day can still have a very good sales rank even if it stops selling for a day or so. Watching the ranks of hundreds of items purchased at Amazon and comparing with data regarding actual purchases. The ranks generally drop (i.e. increase in number) steadily in the absence of sales (with occasional exceptions), and improve (i.e. decrease in number) shortly after purchases are made. Hundreds of other people have shared similar findings publicly. This Amazon page explains that sales rank combines recent and historical sales. Recent sales are combined with sales stability to yield the actual sales rank. Sales stability reflects how frequently a product has sold in the past. This includes long-term data like weeks, months, and years. A product that has a history of selling frequently tends to climb very slowly during a period of no sales, and often improves without any sales (as other products fail to get new sales). For example, if a book has spent the past month ranked near 10,000, its rank starts climbing very slowly and any sales at all greatly help to drive its sales rank back down. However, if its sales frequency greatly diminishes over the course of several days, its old sales stability wears off and it tends to favor a new sales rank. A product that has a history of not selling much has a tough time maintaining an improved sales rank once it sells. The number climbs quite rapidly until returning to its sales stability number, and then it climbs much slower. A history of frequent sales must be established to reach a new, lower sales stability number. Some people call this predicted performance rather than sales stability. The prediction may be largely based on prior sales history, in which case the terminology really doesn’t change anything; but there may also be other hidden factors (see below). If some other factor helps Amazon predict performance, then predicted performance is indeed the better term. Watching the ranks of hundreds of items purchased at Amazon and comparing with data regarding actual purchases. It takes multiple sales per day to achieve and maintain a sales rank in the 10,000’s or better. Books with stellar sales ranks have their ranks climb very slowly in the absence of sales, whereas a book that has recently not sold has its rank climb very rapidly after a sale. Hundreds of other people have shared sales rank graphs publicly. Note the characteristic tail where sales rank tends to flatten, i.e. it approaches its sales stability as it becomes more horizontal. Hot sellers tend to fluctuate around sales stability rather than show a tail (but they do have more horizontal stretches in periods of no sales, whereas inconsistent sellers experience a sharp drop and then become more horizontal). Free Kindle e-books now get a free rank, whereas paid sales get a paid sales rank. The free and paid sales ranks are independent. So if you make your Kindle e-book free through KDP Select, those freebies do not directly affect your paid sales rank. They give you a temporary free rank instead, which will disappear when the promotion ends. Actually, your paid sales rank will drop (the number climbs rapidly) during the freebie period. Why? Because you’re not getting any paid sales during this period. 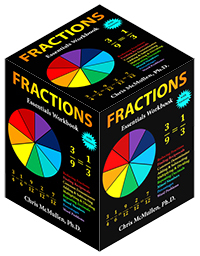 Authors who use this tool hope that the free books given away will lead to a surge in sales after the promotion. In the best cases, this does happen, but in many cases, it doesn’t. The most successful freebies tend to involve recruiting help from popular promotional sites like BookBub or E-reader News Today or get posted on very popular (and relevant) blog sites. However, a perma-free book or app benefits by always having a free rank. Every free ‘purchase’ improves that free rank, which helps with visibility on Amazon. Amazon clearly has two separate ranks now—free and paid. A product ranks in one or the other. I’ve run free promotions since the change. The Kindle e-book has a free rank during the promotion. Every download during the promotion improves the free rank. When the promotion ends, sales rank is much worse (i.e. a higher number) than it was prior to the promotion because there haven’t been any paid sales during the promotion. Different product listings are independent from one another. For example, print sales do not directly impact Kindle sales rank or vice-versa. Even different listings of the same edition of a book are independent. For example, if a marketplace seller creates a duplicate listing of a product, that new listing gets its own sales rank and doesn’t affect the original item (well, if a customer buys the product from the duplicate listing, it does affect the original in the sense that the sale doesn’t help the sales rank of the original listing like it should have). However, when a marketplace seller lists an item for sale new or used on the original product listing, then the sale evidently does affect the product listing for that page. I have several books with paperback and Kindle editions linked together. The sale of one never directly affects the sales rank of the other edition. Amazon has separate ranks for print books and Kindle e-books. Although both paperbacks and hardcovers are included in books, both paperback and hardcover editions have separate, unrelated sales ranks. This can be ascertained by purchasing one edition and monitoring the sales ranks of each edition before and after the purchase. However, you must be careful as another customer can make a purchase at around the same time. If you buy a product at Amazon, its sales rank doesn’t improve immediately. You have a window of opportunity in which to cancel the order. For Kindle, you can press a button within a few seconds if the purchase was an accidental mis-click. For other products, you can find your orders and cancel the order. When purchasing from a third-party merchant on Amazon, the merchant itself may cancel the order (it might be out of stock). Depending on how an order is placed, there may be a short or long window of opportunity for a cancellation to occur. If the order is cancelled in this way, sales rank is unaffected by the purchase or the cancellation. It will be as if the purchase never occurred. Returns are different. If a customer places an order for a product and then later returns the product, evidently the original purchase improves sales rank, but the return doesn’t drop sales rank rapidly back where it was. Kindle reports sales and returns separately, so it’s possible to monitor the effect of returns on sales rank. You must actually cancel an order yourself in order to verify the effect of cancellations, as this data isn’t reported (well, this data is reported for pre-orders). If you ever order a product at Amazon and find yourself in a situation where you need to cancel the order, or if you ever need to return a product to Amazon, you will be in a position to monitor the product’s sales rank. You have to be careful, however, as another customer may place and order at the same time. As long as this continues to be the case, it is good news for authors: Although authors and publishers don’t earn royalties for the resale of used books, and while they may receive reduced royalties through third-party sellers (e.g. through CreateSpace’s expanded distribution), if the sales of used and third-party books improve sales rank, then authors and publishers derive some small added benefit from these sales (better than nothing). Better sales rank equates to better exposure on Amazon. This John Grisham product listing isn’t available for purchase directly from Amazon. (There may be another product listing for this title that is, but that wouldn’t affect the sales rank of this product listing.) It’s only available used or new from third-party sellers. Yesterday it had a sales rank in the 200,000’s; right now it’s in the 300,000’s. Clearly, these third-party books are selling occasionally and affecting the sales rank of this product listing. I purchased used copies of books where the sales ranks were originally in the millions (in the most extreme case, it was over 6,000,000). After my purchase, the sales ranks improved to the 100,000’s. Amazon Prime borrows do affect sales rank. All MatchBook sales improve sales rank, even if the price is free. Kindle Unlimited downloads improve sales rank, even if the book is never read to 10%. (However, no royalty is reported unless and until the book is read to 10%.) This is good news for authors: Every Kindle Unlimited download helps in some way. Even if it’s never read to 10%, it still helps through its impact on sales rank. I’ve borrowed many books through Amazon Prime and monitored the sales ranks before and after. In some cases, I knew the author and was able to confirm that the book hadn’t sold during that period. 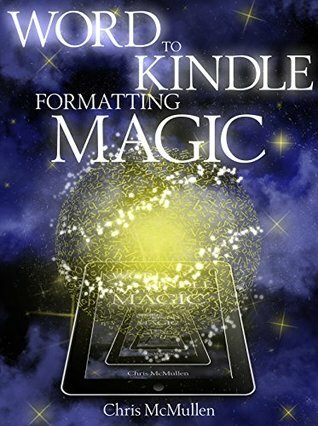 I’ve purchased books through Kindle MatchBook, after which sales rank has improved. I tried this recently with a free MatchBook offer on a book that hadn’t sold in recent months, and this also affected paid sales rank. It’s not as easy to tell if other factors—like frequent returns, customer complaints, list price, Amazon profit, customer reviews, browse category, and product availability—have any direct impact on sales rank or not. One complication is that multiple factors may impact sales rank to some degree, in which case it can be hard to isolate minor factors. Note that the algorithm may include subtle effects and not just major effects; of course, major effects are much easier to observe. Another complication is that you often see indirect effects. If you change the list price, that may affect how many customers purchase the product, making it hard to tell if the price itself impacts sales rank. If you compare two similar products with different prices, there may be some other factor involved that you don’t realize is having an effect. You can’t always tell exactly how many sales you’ve had, as there can be lengthy reporting delays. Thus, trying to discern subtle effects or to discern direct effects over indirect ones can be a challenge. Some people think that price has no effect on sales rank; others do. You might think that if price has an effect then the impact of a $9.99 book should be 10 times the impact of a 99-cent book, so any effect should be obvious, right? No! There is no reason that the algorithm has to incorporate a direct proportionality between list price and sales rank—it could be a slight effect, making it harder to see. I do have a few more expensive books (upwards of $25) that sell less frequently than other books, but which have better average sales ranks than books they are outselling. But there are so many other possible factors, it’s not necessarily price that explains the discrepancy. In other cases, there are books of much different prices with similar sales and similar sales ranks, for which it seems like price doesn’t have a major effect (but again, there may be other factors involved that complicate the analysis). Here’s another thought: Maybe profit would be more important than price. But if price or profit, or any of these other factors, have any impact at all, it’s probably a minor impact, not a major effect. Another issue is that Amazon changes its algorithms periodically. For one, the changes might help Amazon improve profits or customer experiences. 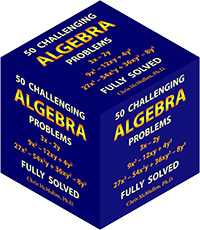 For another, changing the algorithm helps to prevent people from learning the algorithm and taking advantage. If any of these other factors do affect sales rank, Amazon would probably prefer that people not know about it. The main factors (especially, recent sales and sales stability) are abundantly clear and easily tested. Check out this Amazon page: Evidently, sales rank gives some idea of how well a product is selling overall, but doesn’t necessarily tell you about similar products. Wow! So we shouldn’t read too much into sales rank. There evidently are “other factors” involved. Recent sales and sales stability are the two main factors; everything else is hard to discern (and may very well seem inconsistent due to unknown factors). Even Author Central, which explains that a lower number is better in terms of sales, outlines a few exceptions. The one constant at Amazon.com is change, so what’s true today may be different tomorrow. Sales rank doesn’t update immediately. Sales rank can seem inconsistent at times. There may be hidden factors complicating your analysis. Authors: Stop monitoring your sales ranks all the time and spend more time writing and marketing your books! Indubitably, the most important factor is the color of the underwear you are wearing on any given day. Research shows that red underwear is best for improved sales rank. Orange comes in second; black is third. Under no circumstances should you wear blue. Don’t change your underwear on days where your top sales rank shows improvement over the previous day. Definitely, change your underwear (you can keep the same color, ideally red) on days where your top sales rank has declined. I don’t even closely watch my rank anymore. The KDP dashboard tells me so much more useful info. I can sell several books over the course of a few days and the rank barley moves. When I have a promo and sell lots in one or two days, it will change dramatically. I have the proceeds going elsewhere. Not being all that concerned about it being an income producer frees me up to enjoy that it at least has an audience. Wow, that’s one exhaustive list! The main takeaway for me is, “Stop monitoring your sales ranks all the time and spend more time writing and marketing your books!” I couldn’t agree more. Wow. This is a fantastic blog post! Thanks for taking the time to type this all out. Not worrying about sales rank is easier said than done 😉 I like looking at sales rank history to get a better picture of how a product is doing. Thanks again for this post! An interesting piece on Amazon Sales Rank. Some great information above thank you. I’m also trying to find any information on the affect on sales ranking from Social media shares from my amazon products page. Thanks for any help or information you might have. Those shares don’t directly impact sales rank, but may help indirectly, i.e. when someone discovers your book through the share and makes a purchase. Great post, thank you Chris. I’m surprised you didn’t mention CONVERSION rates at all. They play such a huge role in PAGE rankings/placement, that I would think Amazon includes it in the sales rank algorithm in some way. Your thoughts? I expect conversion rates and customer satisfaction metrics to figure strongly into establishing keyword search relevance, but not factor into the sales rank numbers displayed on product pages (at least, not with a major impact). Pingback: How Do Amazon Reviews and Rankings REALLY Work? Now I have añ idea as to the meaning of Amazon sales rank. Thank you. If you are interested, You can also visit my own site and share this…. This is the best article on Internet about Amazon sales rank. I’ve been in self-publishing trenches for 3.5 years, so I know what I’m saying. Thanks a lot and kudos! Yeah, I had a book that yesterday ranked 4,000,000+, today it went to just 129,000. When I looked at the sale record it didn’t show any sales. I was just wondering what made it shoot up? Or, is there a lag time between a sale and it being recorded as a sale?